I began writing this on the first day of winter, 2018, while listening to James Taylor’s interpretation of Gustav Holst’s reminiscence about winter, one of my favorites. 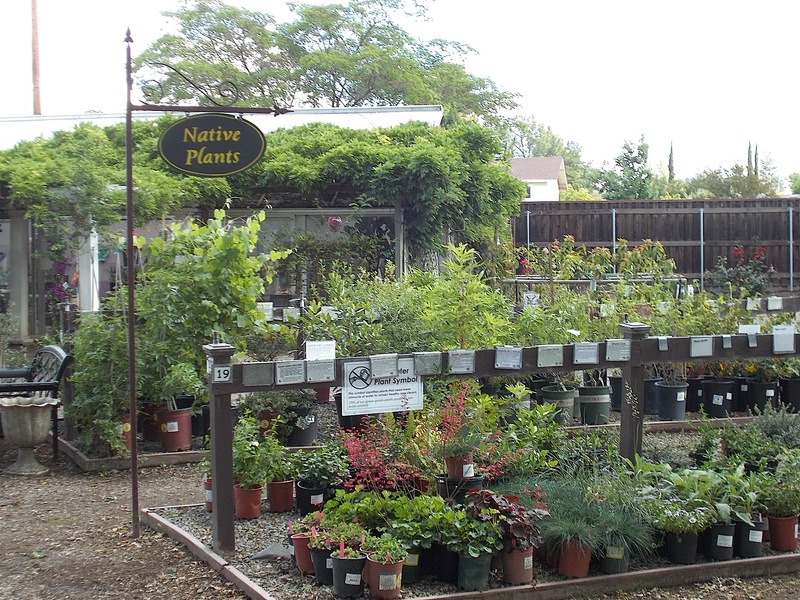 In front of me were photos of the Granada Native Garden at this same time of the year. Obviously, a frigid, blustery winter in England was a different experience for Holst than it is for residents of California. By contrast, the first day of winter in our California is the time to anticipate the renewal of nature, not the death of summer. 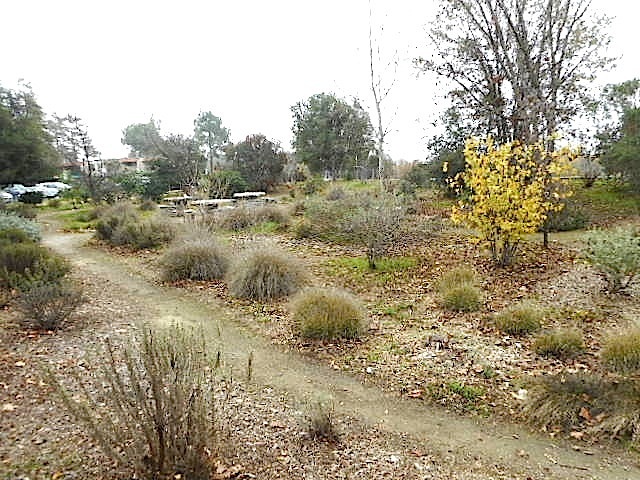 By this time, lots of California native plants have gone to sleep for the winter, and the dominant color is brown. 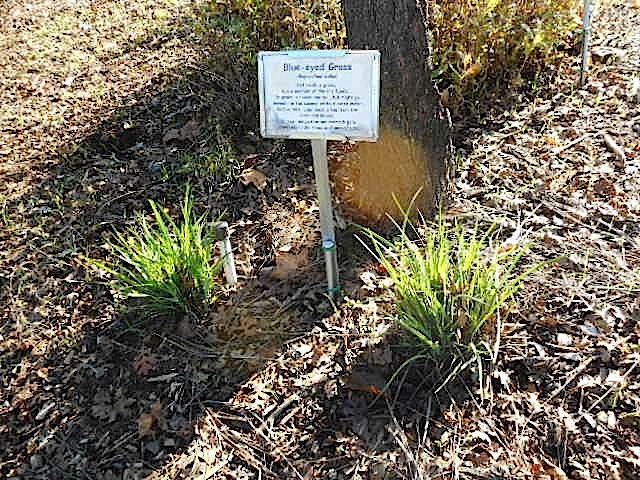 But one of the pleasures of spending time at the Granada Native Garden at this time of the year is to look for signs of spring! 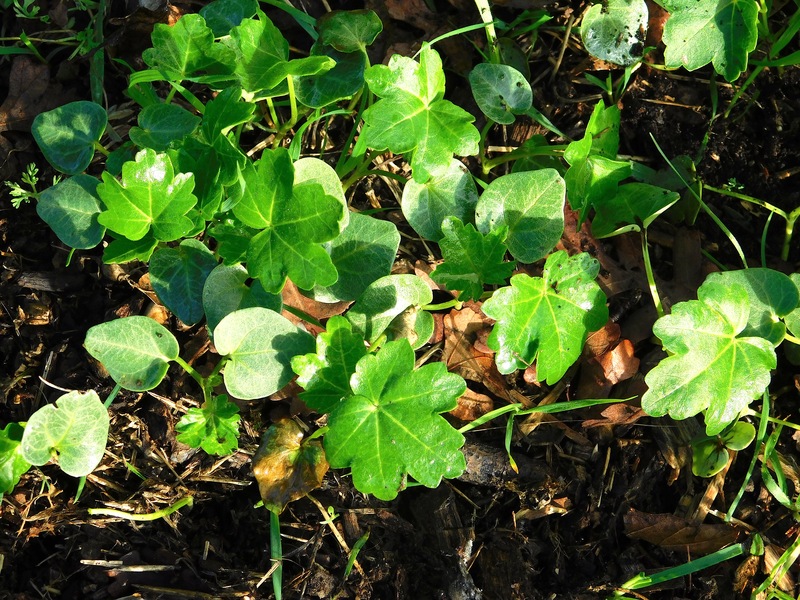 Here are some of the harbingers of spring that you might see poking above the ground at this time of the year, if you stroll round the Garden and look for them. 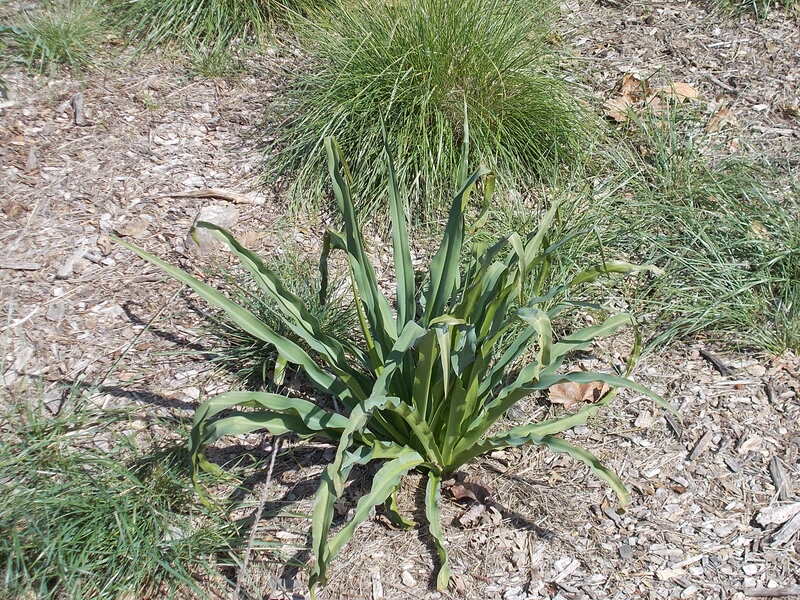 Soap Lily – Unassuming But Indispensible! It is customary, at this time of the year, to reflect on the lives of people who have made remarkable contributions to our lives, but have not received proportionate acknowledgement. Maybe soap lily can join this noble club! 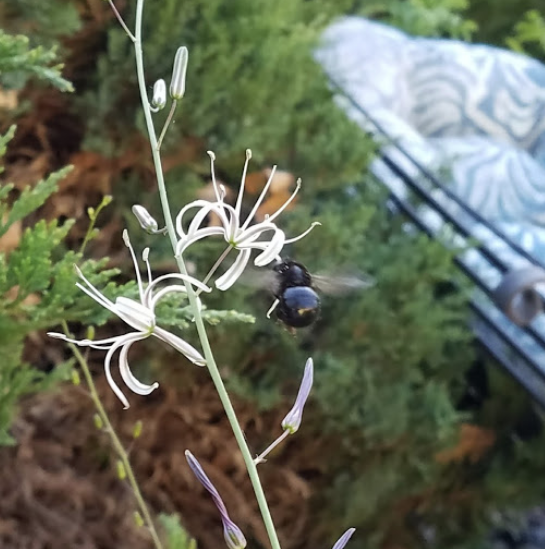 (Most photos can be enlarged for better viewing by clicking on them.) 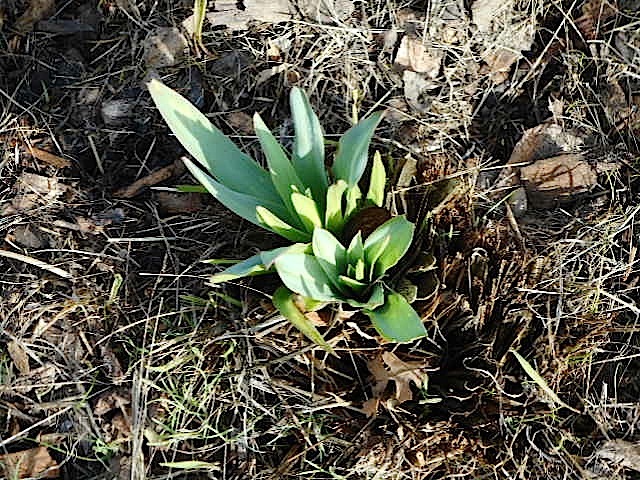 The unassuming soap lily (Chlorogalum pomeridianum), or soap root (or amole in Spanish), starts out life shortly after the first winter rains have awakened it, as a bright green rosette of strap-like leaves hovering just a few inches above the ground. 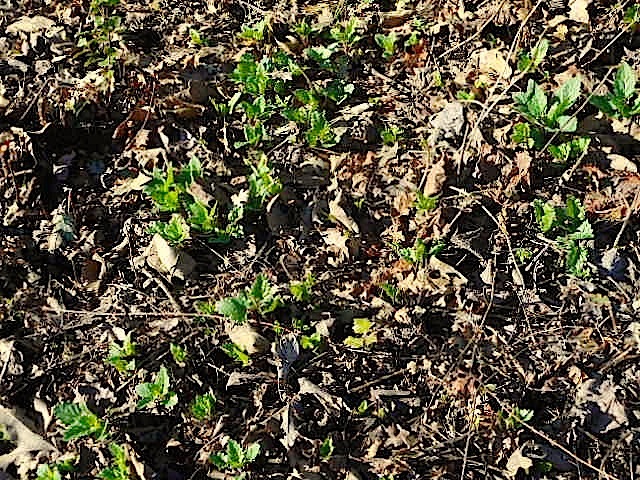 It is easy to spot if everything else around it is seasonably brown. 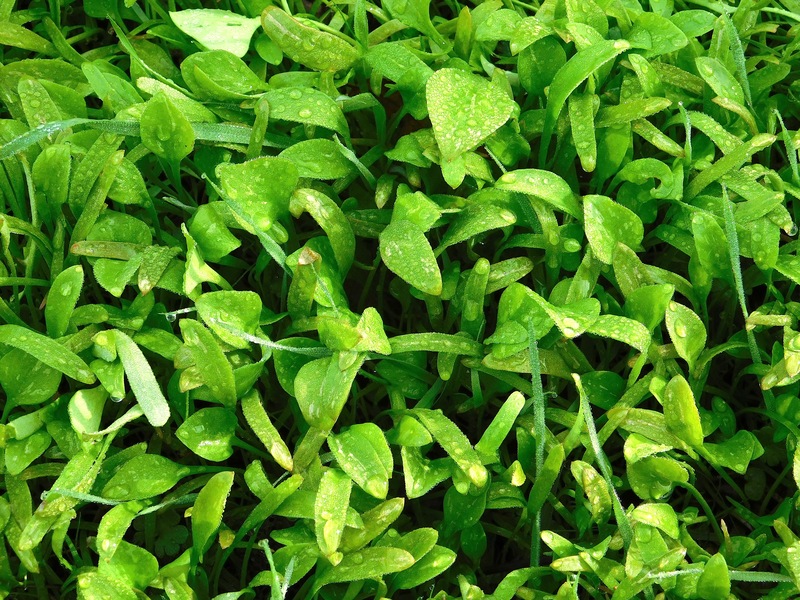 The genus name comes from two Greek words, chloros (green) and gala (milk), referring to the plant’s greenish sap. 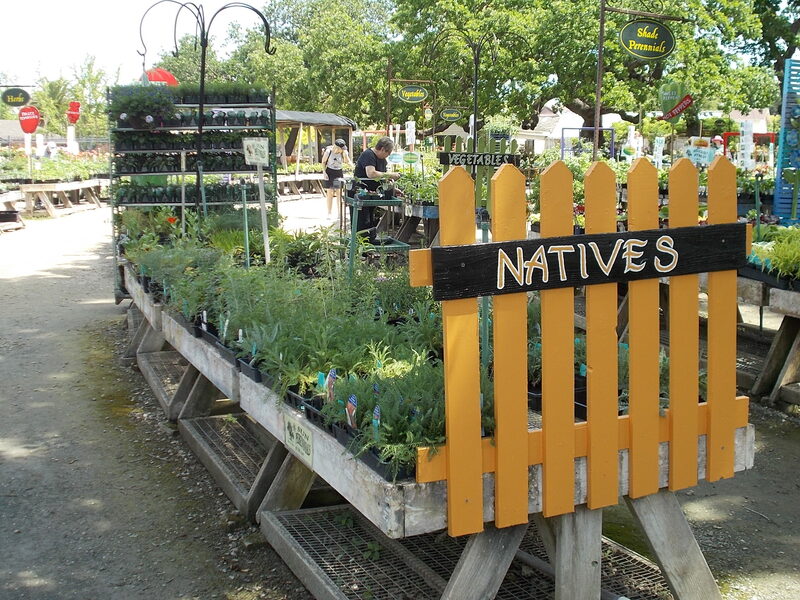 It is indispensible because most of the Native American tribes in California have found numerous uses for it. 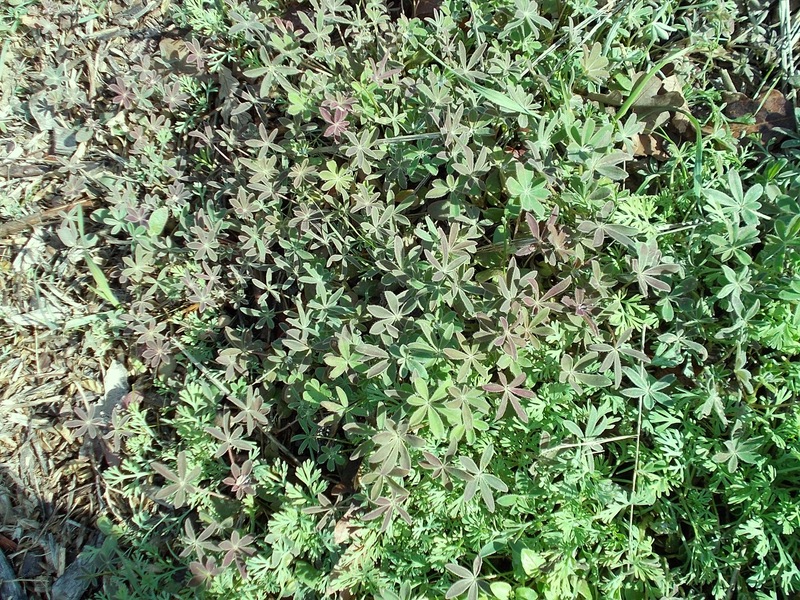 The leaves are edible, and the young leaves were eaten as greens. 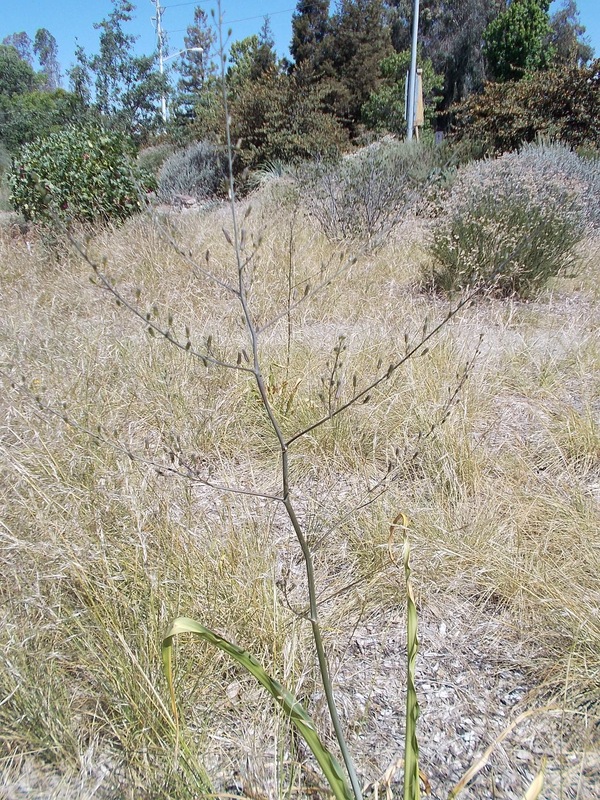 The Sierra Miwok even used the leaves to make dolls. But the underground bulb was arguably the most useful part of the plant. It contains saponins, chemicals in the glycoside family which are present in numerous foods that we routinely consume, notably beans and legumes, but the saponin content of soap lily is remarkably high. Saponins are toxic but are poorly absorbed by our bodies and are destroyed by cooking. Bert Wilson said that the bulbs taste like “a soapy onion”, but they become edible and sweet after they have been caramelized by roasting for a lengthy period. In spite of this, they were a significant food for many tribes, and are wholesome and nutritious when thoroughly cooked. Roasting the bulbs thickens the juice to create a glue. The glue was usable to attach feathers to arrow shafts and to seal baskets. 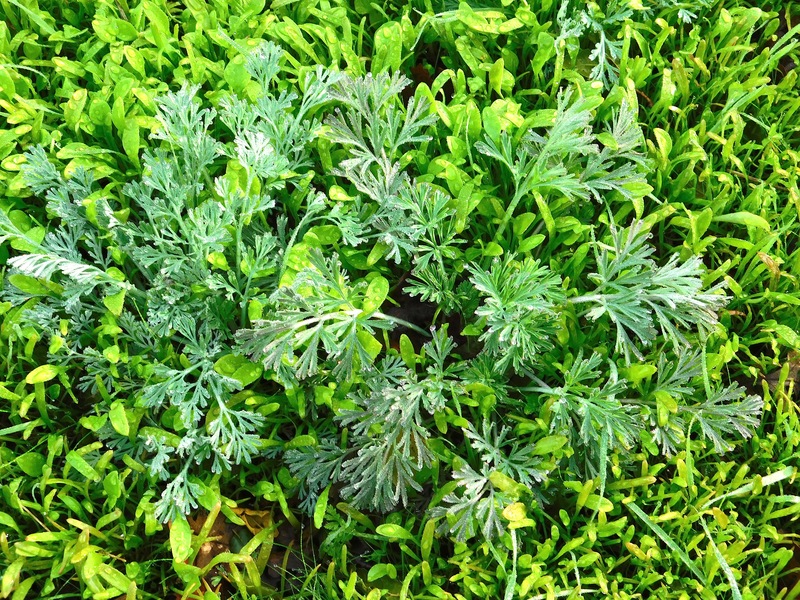 The juice reportedly also had medicinal qualities as a pain reliever, antiseptic, laxative and diuretic, and to counteract the effects of poison oak. 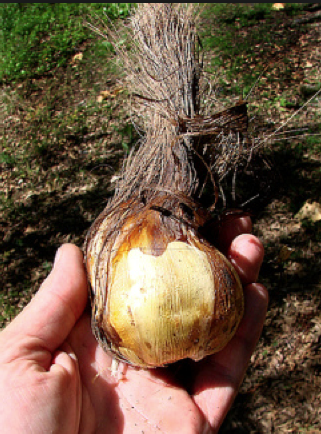 When freshly dug out of the ground, the bulb is thickly covered with tough, fibrous hairs. The Native Americans didn’t let these go to waste either. The fibers were gathered into bundles to form handles for brushes that could be used, like our whisk brooms, to clean cooking tools and surfaces, but also for brushing their hair (but the same brushes weren’t used for both purposes!). 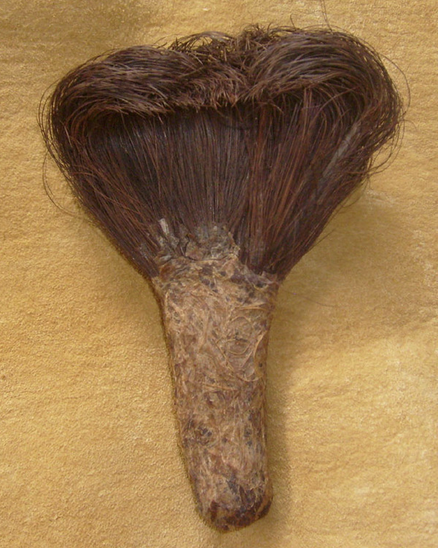 The glue mentioned above was used to form the handle of the brush. The fibers were also used to stuff mattresses – a mattress owned by one person was found, after his death, to contain 50 lbs of the fibers. 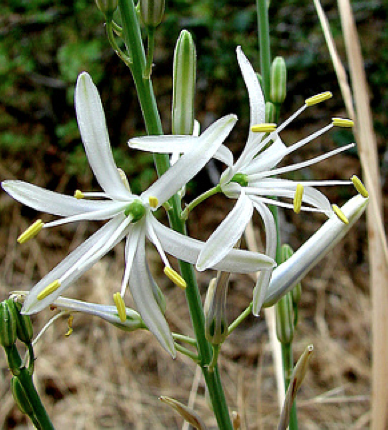 Sustainability – A Wise and Necessary Strategy Obviously, the demand for soap lily/soap root for food, fiber, soap, glue, medicine, tools and even catching fish, was considerably high. With such a great need for the plant, it was necessary for the indigenous peoples to adopt practices that would guarantee the success of future crops. 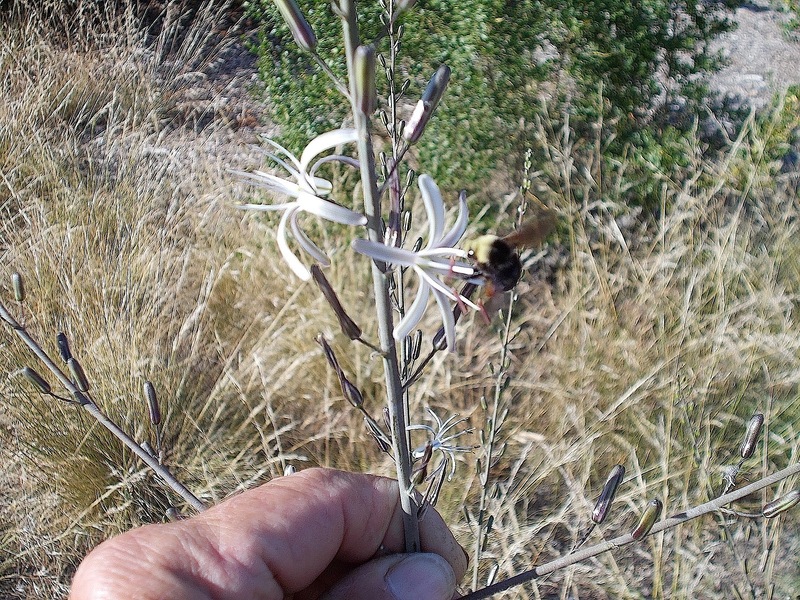 When the flowers mature by late summer, they release dozens of seeds which may give rise to a sizable colony. Only the largest individuals, bearing the largest accumulation of the valuable fiber were harvested, leaving the younger individuals to expand the colony. 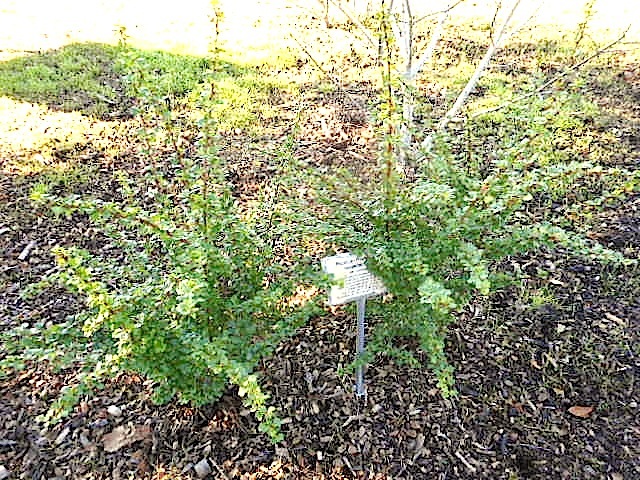 Alternatively, a digging stick could be used to break the crown off the bottom of the bulb, then the bulb would be replanted elsewhere to grow into a new plant in a few years. Seeds could be shaken into the hole to start the new colony. 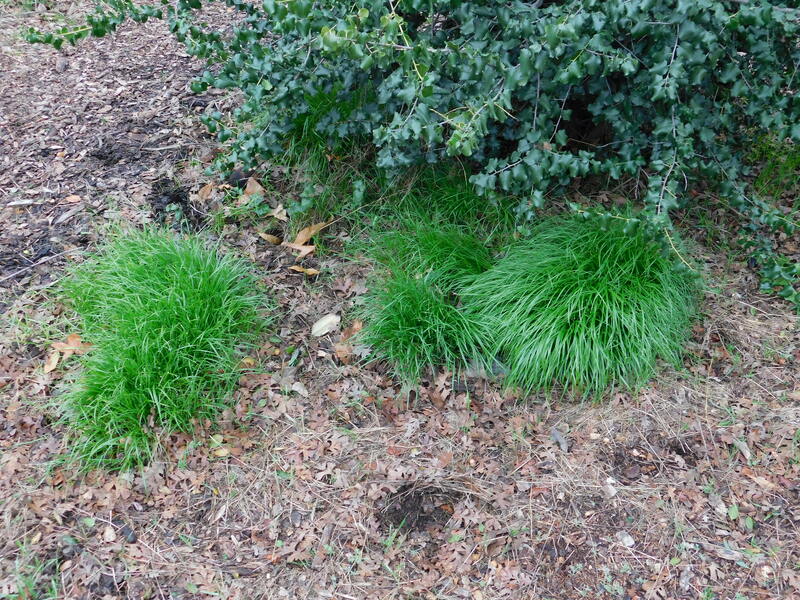 During the late summer, when only the dry remains of the rosette are visible on the ground, soap root areas might be burned annually to open up the area to sunlight, release nutrients into the soil, and keep vegetation from encroaching into the collection areas. A Special Extra Feature! 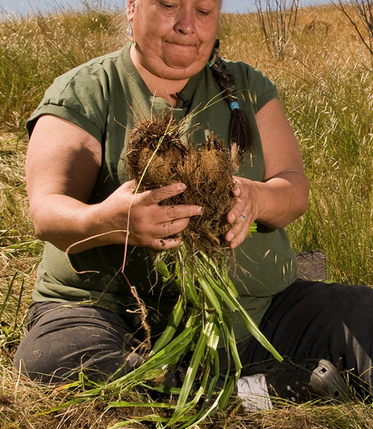 Kirpa was our first volunteer at the Granada Native Garden back in 2010 as a high school senior. 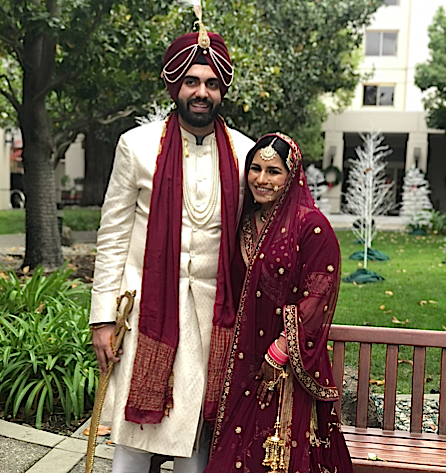 While continuing to be dedicated to the GNG and giving Jim valuable feedback, recently Kirpa found her true love, Navreet, and the two of them were married on Thanksgiving day in a traditional Sikh wedding! Kirpa plans to continue her dedication to hydrology and water politics, while Navreet will pursue his future in medicine. May our two friends thrive, along with the GNG!